For a look as flawless as Chloe Morello’s, Pixi have collaborated with the unfailingly flawless beauty blogger to create Palette Chloette, an edit of Chloe’s all-time favourite hues, inspired by love and romance (did someone say date night…?) The highly pigmented, blendable powders are emollient, offering an undetectable, skin-like finish effortlessly. There are three blush shades – apricot-amber, ballet pink and rich, rosy coral – which create an enviable flushed look. As well as this, there are six eye shades in three duo pans, ranging from pearl to bronze via golden, copper hues to give you everything you need to create day-to-night looks. To enhance, define and line eyes, or even brows, there’s also a trio of brown and black matte shades in this comprehensive – and oh-so pretty – palette. 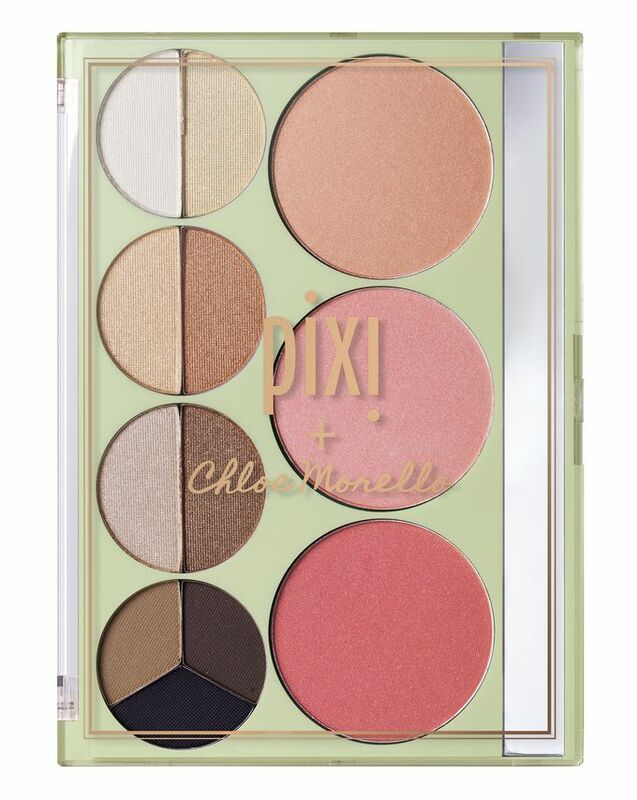 Apply blush tones to the apples of cheeks and blend upward towards the hairline. Mix and match the shadow shades on your lids and use the matte trio to line and define eyes and brows. The best for natural glow!! This is such a great palette. Powders are smooth and super easy to work with, gives a really pretty and natural glow. The photo they've included of Chloe is pretty spot on as to the finish you get in real life. Also, love the lip gloss. The matte eye contour is a bit softer in pigment (I guess since they're designed to be multi purpose powders) but definitely buildable. My Chloe is amazing in everyway. The best palette ever.